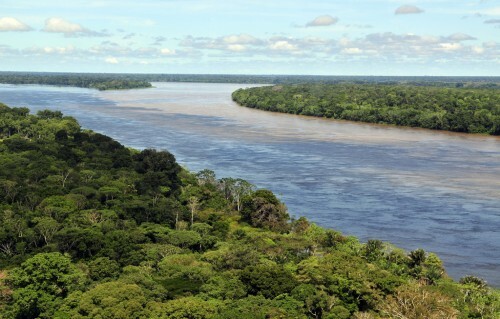 Peru - Over the past half-century, more than 1,300 indigenous communities in the Peruvian Amazon have obtained title to more than 12 million hectares of land—about 17 percent of the country’s forest area. The gains have come through a series of regulatory reforms that have resulted in both progress and setbacks for indigenous communities, says Iliana Monterroso, a post-doctoral researcher at the Center for International Forestry Research and one of the authors of a new study on land and forest tenure reforms in Peru. Even now, property rights are granted only for agricultural land, while the state retains ownership of sub-soil resources such as minerals, and of the forests above-ground – granting concessions or usufruct rights for use of those resources, but not relinquishing ownership. Under current regulations, soil analysis determines whether land is classified as suitable for forest or agriculture—regardless of whether it is already forested. Only the area classified as agricultural land can be titled. Rights in the area classified as forests are limited to the right to use, known as usufruct, for which communities sign a contract with the government. Although Bagua put communal land rights on the policy agenda, however, titling has been slow in recent years and only a handful of usufruct contracts have been issued in nearly .